QUEZON CITY – After members of the Senate unanimously voted to pass the Paris Agreement last March 14, civil society groups challenged the Duterte administration to deliver on its commitments to reducing the country’s emissions and lead other countries in combating climate change and decarbonization. “However, the Department of Energy's (DOE) Philippine Energy Plan (PEP) has yet to reflect this commitment, and its troubling pronouncements on continuing to rely on coal for the next decades, increasing indigenous coal extraction by 100%, and turning to nuclear energy only raises additional concerns, rather than being consistent with the Paris Agreement,” he added. Construction Industry Undersecretary Atty. Ruth B. Castelo, together with DTI Region 8 Director Cynthia Nierras forefronted the unveiling of the 8th CIAP Window in Tacloban City on Monday, March 20 2017. From L-R: Philippine Contractors Association Ormoc Chapter Contractors; DTI Region VIII Director Cynthia Nierras; CIAP Undersecretary Ruth B. Castelo; PCA Ormoc President Jonathan Bautista; PCA Leyte Chapter Victorio Esperas; PCA Leyte Chapter Contractors. TACLOBAN CITY – With the target to increase competency, the Construction Industry Authority of the Philippines (CIAP) opened a one-stop window facility in Tacloban City last March 20, 2017 to cater to licensing, arbitration and training needs of aspiring local contractors in the regions. Undersecretary for CIAP Atty. Ruth B. Castelo, together with DTI Region VIII Director Cynthia Nierras fore fronted the opening of the event to enhance the access and delivery of CIAP services in the provinces. Services that can be availed at the newly opened facility include construction licensing and registration issued by Philippine Contractors Accreditation Board (PCAB); handling of contract claims, arbitration and mediation for disputes arising from contract concerns administered by Construction Industry Arbitration Commission (CIAC); and signing up for various training programs under the Construction Manpower Development Foundation (CMDF). PCA Leyte Chapter President Engr. Victorio Esperas, Jr. and PCA Ormoc Chapter President Jonathan Bautista graced the event by welcoming such initiative and declaring their support for the project. Also present in the event are TESDA Regional Director Cleta Omega, and representatives from Department of Science and Technology (DOST), Department of Agriculture (DA), Philippine Statistics Authority (PSA), National Housing Authority (NHA), Department of the Interior and Local Government Region VIII, National Economic and Development Authority, Social Security System, PhilHealth, Department of Public Works and Highways and Home Development Mutual Fund -Tacloban. “By bringing our services to the regions, we’re enabling our contractors to save incidental expenses incurred in fare and accommodation. Filing will be easier and ultimately, we can reduce red tape and eradicate fixers.” said Undersecretary Castelo in her keynote speech. Usec Castelo also added that for the first time in the history of the industry, President Duterte’s administration acknowledges the fact that the construction industry is a vital factor in development along with other industry sectors’ efforts. “CIAP, the DTI, Regional Offices and stakeholders are working together to provide our valued Filipino contractors with first-rate services in the comforts of their regions.” Usec Castelo ended on a high note. There are also service windows currently assisting in Regions I- La Union, III-Pampanga, V-Legaspi, VII-Cebu, X-Cagayan de Oro, VII- Davao and Cordillera Administrative Region. CIAP is an attached agency of the Department of Trade and Industry that promotes, accelerates and regulates the growth of construction industry in the country. It has five implementing boards namely; the Philippine Contractors Accreditation Board (PCAB), the Philippine Overseas Construction Board (POCB), the Philippine Domestic Construction Board (PDCB), the Construction Industry Arbitration Commission (CIAC), and the Construction Manpower Development Foundation (CMDF). CAMP LUKBAN, Catbalogan City – The 8th Infantry (Stormtroopers) Division, Philippine Army celebrates the 120th Philippine Army Founding Anniversary at Openiano Field on March 22, 2017. 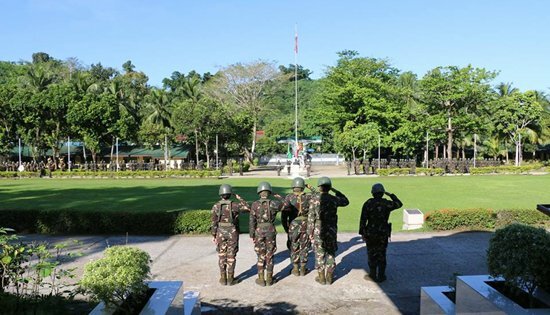 The celebration started with a flag raising ceremony and followed by re-affirmation of oath of allegiance and reading of anniversary message by the Commanding General, Philippine Army which was delivered by Brig. Gen. Cesar M Idio, Assistant Division Commander of 8ID. Brig. Gen. Idio quoted, “Kabayanihan, kagitingan, at kahusayan sa paglilingkod – mga katangiang nagsilbing mga haligi ng kadakilaan ng Hukbong Katihan sa nagdaang labindalawang dekada. Ang mga katangiang ito ang siya ring pinagkukunan natin ng lakas upang higit pang mapagbuti ang ating paglilingkod para sa bayan. Patuloy din nating gawing inspirasyon ang ating mga ninuno at mga kasamahang nag-alay ng kanilang buhay sa pagtupad ng tungkulin. 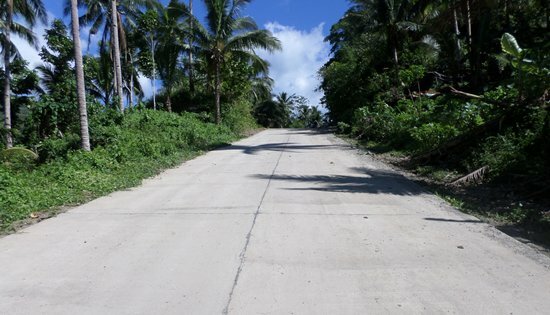 CALBAYOG CITY – The Department of Public Works and Highways (DPWH) - Samar First District Engineering Office (SFDEO) completed the Access Road Project leading to Bangon Falls in Brgy. Tinaplacan, Tinambacan District, Calbayog City, Samar. The project is appropriated P50 Million under the DPWH FY 2016 Infrastructure Fund thru the DPWH – DOT Convergence Program. Scope of works of the project involves concreting of 1,200 linear meters road with 768.20 linear meters Reinforced Concrete Lined Canal that is intended to prevent clogging and water ponding in the area which may eventually cause early deterioration of the structure. The concreted road reaches at the farthest area where base of Bangon Falls is a few steps away. Following its completion, the influx of guests visiting the three waterfalls namely Larik Falls, Bangon Falls and Tarangban Falls increased from 2,075 in 2015 to 14,413 in 2016 based on the data provided by the Calbayog City Tourism and Information Office. SFDEO is set to implement the Construction/Improvement of Access Road Leading to Bangon Falls (Slope Protection) under the DPWH FY 2017 Infrastructure Program amounting to P100 Million before the end of March 2017. The above road is an access road leading to Naval Port in Naval, Biliran. It is proposed for rehabilitation with an appropriation of P54.939 Million. The proposed project on above road is Rehabilitation of Access Road leading to Naval Port. The project covers rehabilitation of 2.78 Lane Km. roadway and construction of drainage on some section. NAVAL, Biliran – The Department of Public Works and Highways - Biliran District Engineering Office (DEO) has been allocated almost P1B for the FY 2017 Infrastructure Program with a total final listing of 57 projects based on the General Appropriation Act (GAA). Out of the allocated amount, P940.730M is to be implemented by Biliran DEO, while P65M is to be implemented by the Regional Office, the widening of the Anas Bridge along Biliran Circumferential Road. Major projects for 2017 includes the P128.667M Concrete/Reconstruction of Maripipi Circumferential Road, P61M Slope protection project along Naval-Caibiran Cross Country Road, and P54.939M Rehabilitation including drainage and Right-Of-Way (ROW) Acquisition of Access Road Leading to Naval Port, Naval, Biliran. Another major project prioritized for FY 2017 is the road widening including drainage of Biliran Circumferential Road of road sections in Brgy. Tucdao, Kawayan, Brgy. Virginia, Culaba, Brgy. Bool, Culaba, Sto. Riverside to Sto. Sagrada, Naval, Brgy. Burabod, Biliran and Brgy. Balaquid Cabucgayan, Biliran costing P172.192M with total length of 5.940km and another P125.588M road widening project of road sections in Brgy. Lumbia, Biliran, Brgy. Burabod, Kawayan, Brgy. 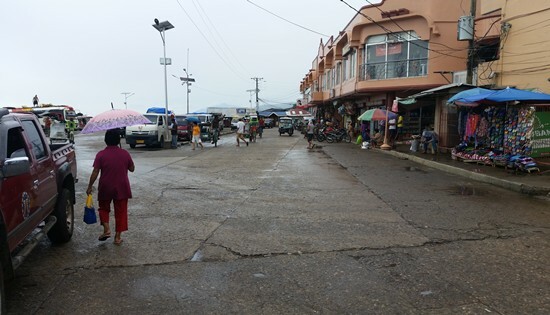 Mapuyo, Kawayan, Brgy.Tucdao, Kawayan, and Brgy. Kaulangohan,Caibiran, Biliran with a total length of 4.281km. As of February 28, 2017, the district had already advertised and bid-out 49 projects while eight (8) projects are scheduled to be bid out on a later date. Construction of bid-out projects will start on early March 2017. 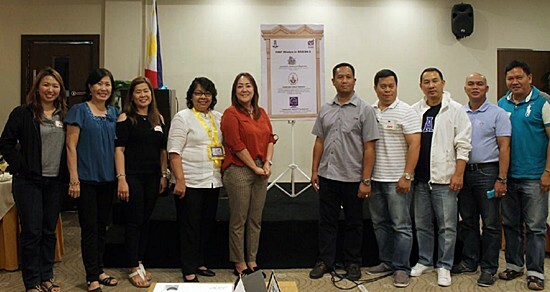 TAGUIG CITY – To uplift and educate financial awareness in the country, online car sales platform Carmudi conducted a financial literacy seminar in the Queen City of the South, Cebu. 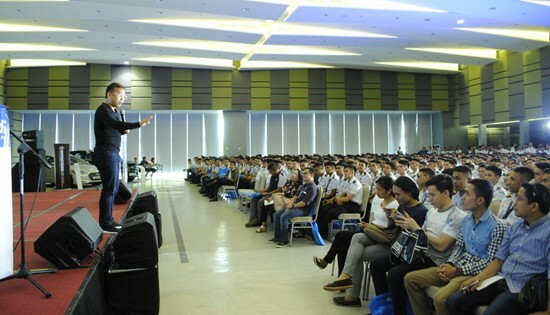 Held last March 7 at the Sky Hall of SM Seaside, the event – which is part of the Carmudi Philippines' CSR Road Show – aims to help and empower graduating students on how to financially secure their future. In partnership with University of Cebu, University of Cebu-Maritime Education and Training Center, and SMX Sky Hall, the financial literacy seminar for students is part of Carmudi Philippines’ way of helping every Filipino in making the most out of their hard-earned money. The CSR road show, meanwhile, is a series of events that will be held in key areas around the country and tackle various issues that concern the public. For the Cebu leg, the main speaker for the day-long program was wealth and life coach Chinkee Tan. During the event, Tan discussed the importance of having a healthy financial mindset and how students can utilize their hard-earned money through savings and increasing its cashflow. According to Tan, good investments and the improvement of one’s financial standing starts when they make the right decisions with their finances. Meanwhile, Abhi Mohan, managing director of Carmudi Philippines, expressed optimism that the 1,500 students that attended the event learned to be more financially literate. Mohan said that they impart their knowledge to future leaders and developers of the country so that they could maximize the potential of their hard-earned money. “As part of our role as a responsible corporate citizen, this is our way of helping improve the financial literacy of the future young overseas Filipino population. Seafarers are particularly vulnerable since, unlike the gradual rise in income (in relative terms) of traditional jobs in the Philippines, they experience a faster rise in their financial net worth. Financial literacy becomes critical to level out the lack of life experience in order to ensure they are able to retain most of what they have earned,” he said. Further, Mohan said that the financial literacy program for students is just the start of their grand idea in making every Filipino financially-stable. He cited that in the Philippines, owning a motor vehicle is a sign of financial stability. “We are in the Philippines for the long haul and when they are stable enough financially, they could tap us when they are ready to purchase their preferred vehicle that is within their budget,” explained Mohan. Late last year, the company made its debut CSR program in Manila with the Road Safety Caravan – with hundreds of students in attendance – that was successfully made in partnership with Turbo Zone. Students from STI-BGC came to listen and participate in the healthy discussions about road safety education. The seminar was led by award-winning journalist Jiggy Manicad and Oscar Oida. 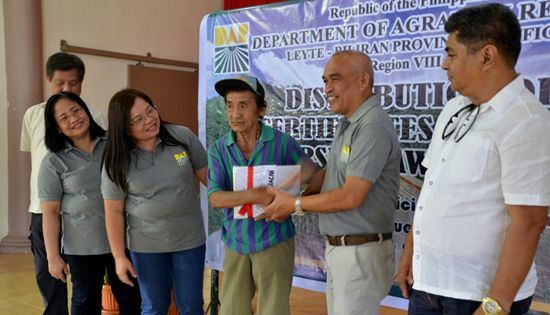 SAN MIGUEL, Leyte – A 78-year old widower was among the 658 farmers from three Leyte towns who received their long awaited certificates of landownership award (CLOAs) from the Department of Agrarian Reform (DAR) last week at this town’s auditorium. Angel Cabello from Jaro could only say he was so happy after receiving the land title to the 2.1-hectare coconut land he is tilling. DAR Regional Director Sheila Enciso led the distribution of the 344 CLOAs covering a combined area of 689.6 hectares of farmlands situated in 21 barangays within this town and in the municipalities of Jaro and Barugo. But before the CLOAs were handed to the recipients, Agrarian Reform Program Officer Wendell Ariza gave a lecture first to the former their rights as well as their obligations as agrarian reform beneficiaries (ARBs). Enciso, assisted by Assistant Regional Director Ma. Fe Malinao, Leyte Provincial Agrarian Reform Program Officer Renato Badilla, Head of the Leyte Registry of Deeds (ROD) Atty. Emeterio Villanoza, RIGHTS National Coordinator Danny Caranza, CARITAS Country Coordinator Jess Agustin and Vice Mayor Atilano Oballo, explained why it took long for DAR to distribute the CLOAs. According to her, after the release of the titles at the ROD there is a need for DAR to validate the CLOAs to check whether the information in the said documents are still correct. She likewise advised the ARBs not to sell their CLOAs nor convert their farmlands into another uses to ensure food security. Further, Enciso disclosed that DAR has P288-million additional budget for support services. Her office, she added, received instructions from Undersecretary for Support Services Rosalina Bistoyong to submit project proposals for funding until Friday. In relation to this she directed the Program Beneficiaries Division to discuss with the ARBs in identifying projects that would help increase the farmers’ production and income, and submit project proposals before Friday. Meanwhile Badilla acknowledged the partnership that has been established between DAR and the RIGHTS, the non-government organization assisting these farmers, which resulted to the release of these CLOAs that were pending at the ROD since 1994. MAKATI CITY – The Department of Trade and Industry sees exports recovering in 2017 as numbers surged in January 2017 with an increase of 22.5 percent with total sales of $5.130 billion from $4.187 billion recorded value in the same period last year according to the Philippine Statistics Authority (PSA) report. “We are positive that we will continue to drive growth and recovery for the export sector as we increase our efforts in promoting Philippine industries throughout the year in various key markets. We take the consistent growth since the last quarter of 2016 as a sign for positive outlook in the coming months,” said DTI Industry Promotion Group Undersecretary Nora K. Terrado. Eight out of the top ten Philippine exports reflected growth with articles of apparel and clothing accessories with 270.1% increase as the highest gainer. Other gainers include: coconut oil includes oil and refined (229.6%), chemicals (104.7%), metal components (66.3%), electronic equipment and parts (64.8%), other manufactures (58.8%), machinery and transport equipment (27.9%), and electronic products (10.4%). Electronic products remain to be the top Philippine export comprising almost 46 percent of the total Philippine exports with total receipts of $2.365 billion for January. On the other hand, non-electronic goods which accounts for 54 percent of exports likewise increased by a hefty 35.19% for that same month. In terms of commodity groups, manufactured goods went up by 23.1 percent with total export sales of $4.505 billion, accounting for 87.8 percent of the total export receipts while exports from Total Agro-Based Products, with a 7.5 percent share to total exports in January 2017, amounted to $386.46 million. It increased by 33.7 percent compared to $289.12 million in January 2016. Japan is still the top Philippine export destination with 17.3 percent share to total exports while United States ranks second with 16.5 percent share. By economic bloc, exports to European Union member countries posted the highest growth with 82.5 percent increase from $491.34 million recorded in January 2016 to $896.69 million for the same period in 2017. “The increase in our shipments to European Union member countries could be attributed to the impact of EU GSP+ which continues to gain traction for our exports. We wish to further build on this by integrating new strategic measures in promoting the Philippines and our products and services,” explained Undersecretary Terrado. On the other hand, countries in East Asia received most of Philippine exports accounting for 45.1 percent share to total exports valued at $2.315 billion. It increased by 11.1 percent from $2.085 billion of January 2016. Exports to ASEAN member countries comprised 14.7 percent of the total exports in January 2017 and was valued at $751.54 million also posted growth which went up by 19.3 percent.